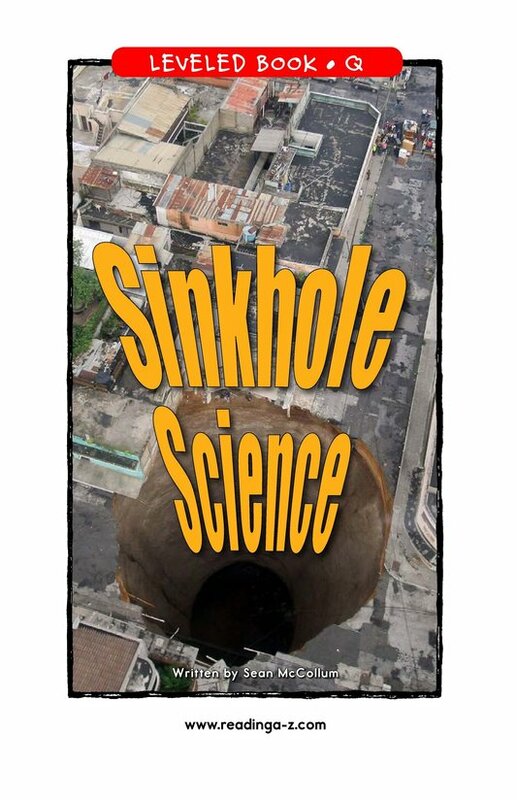 Explore one of the strangest natural events on Earth in Sinkhole Science. 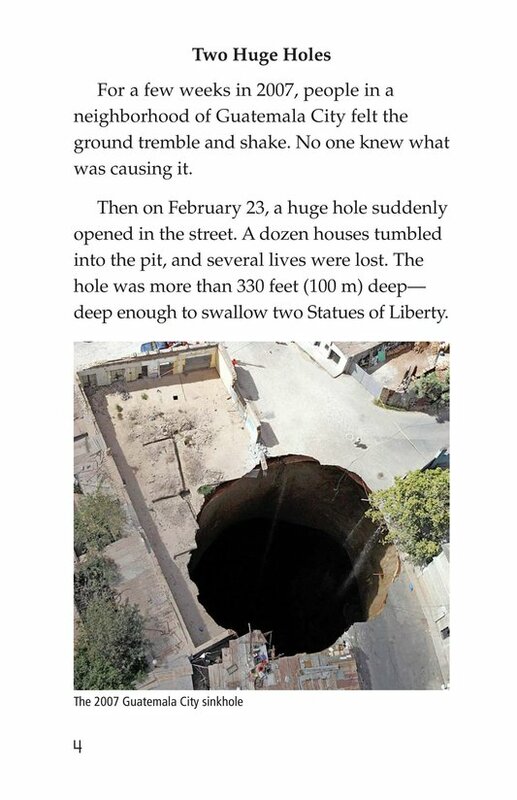 Seen all over the world, these amazing holes can appear suddenly or develop slowly over years. 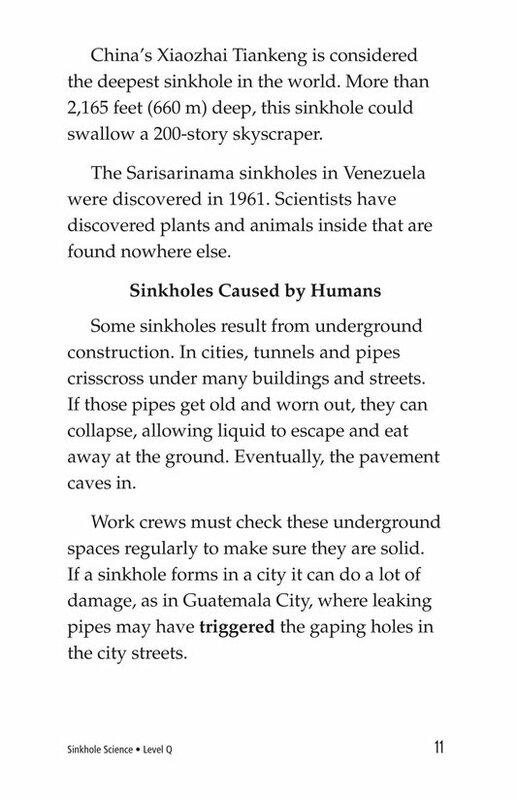 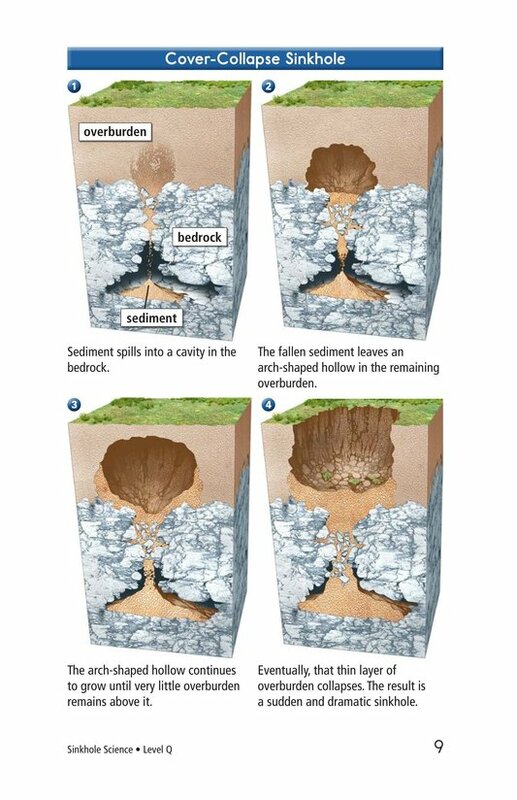 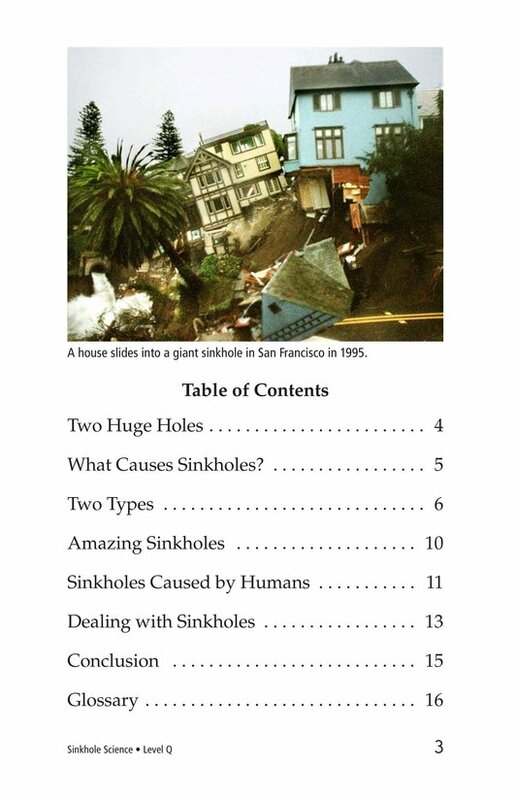 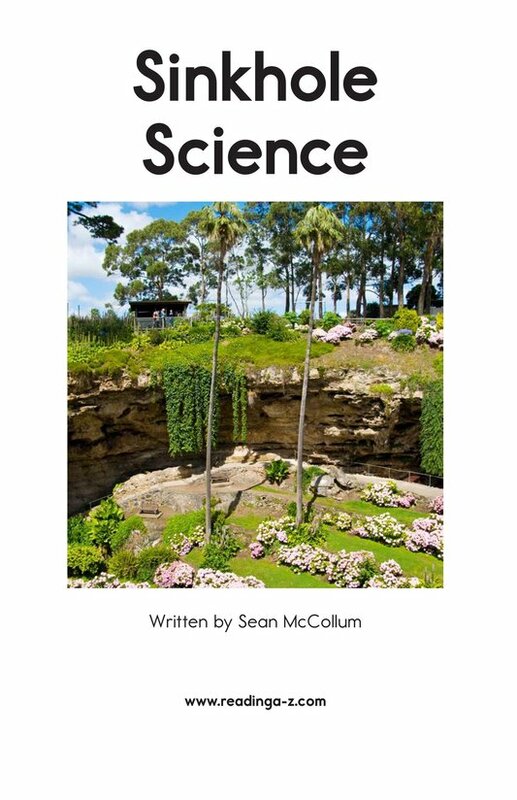 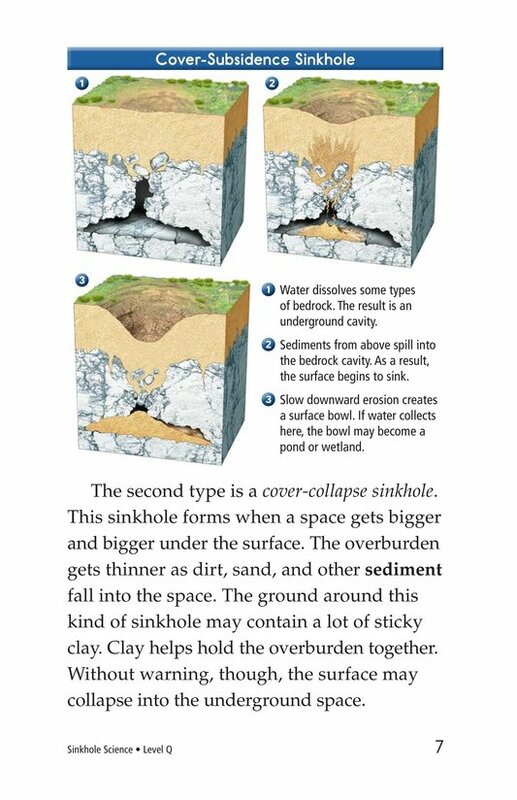 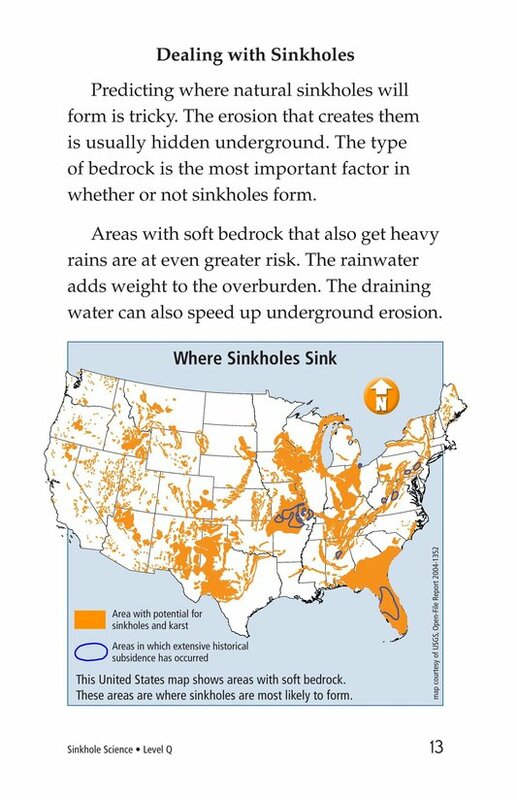 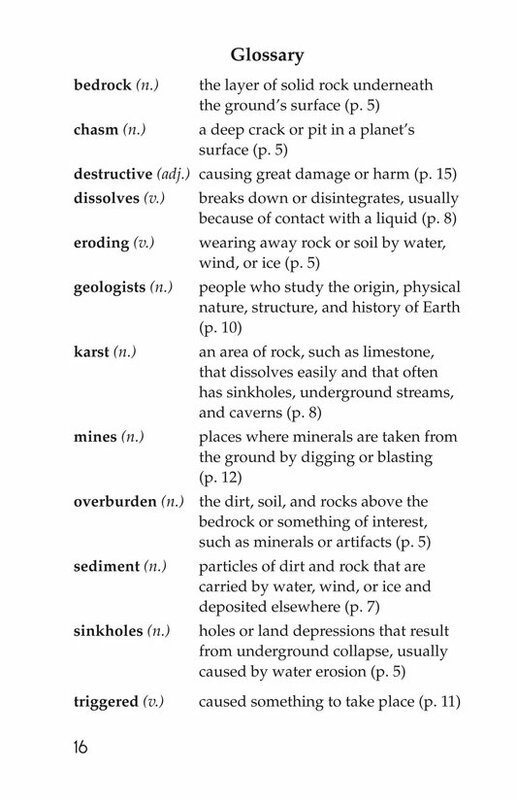 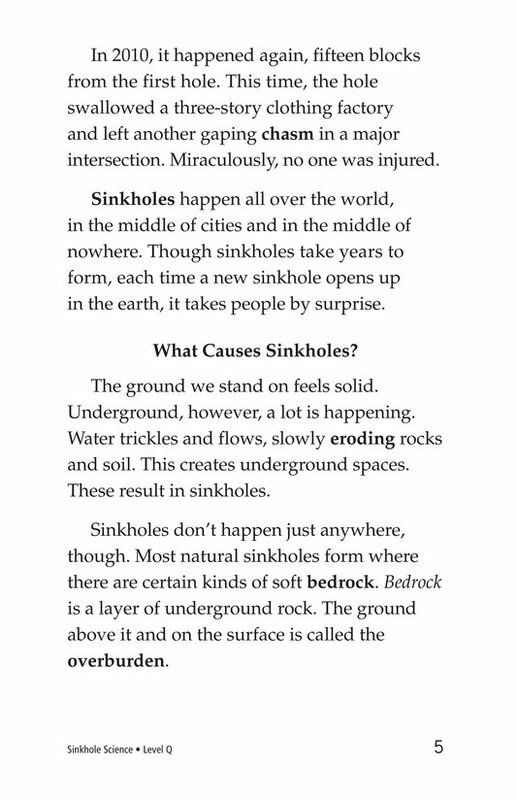 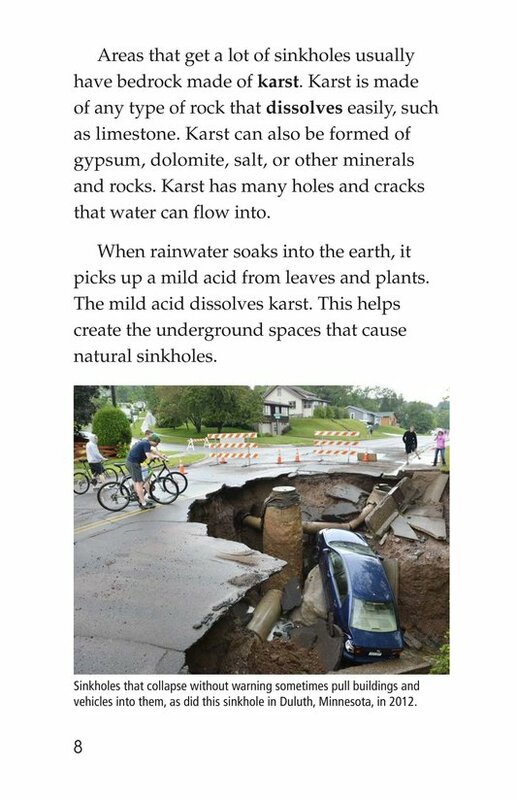 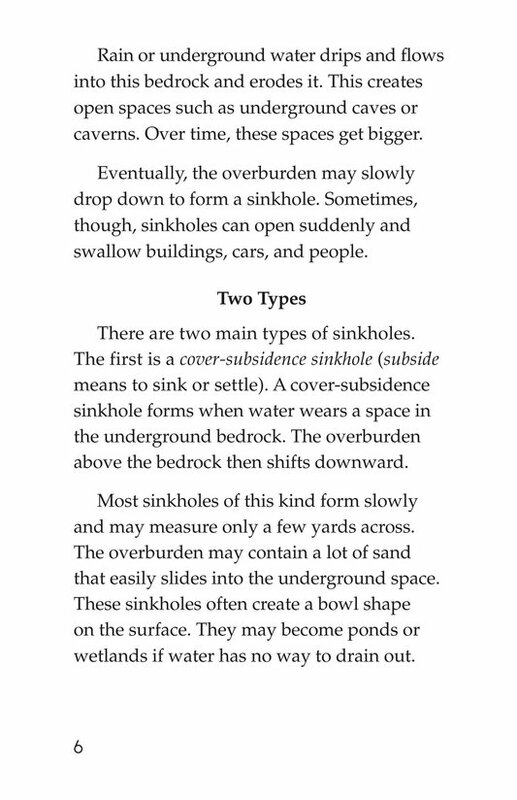 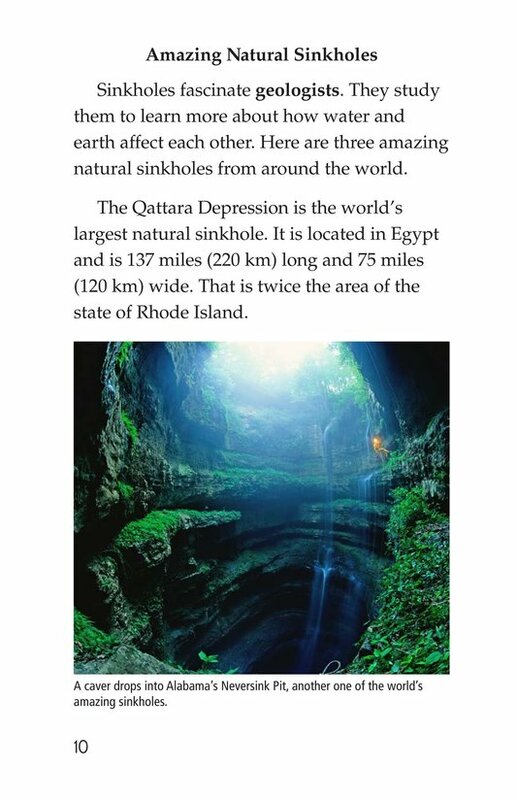 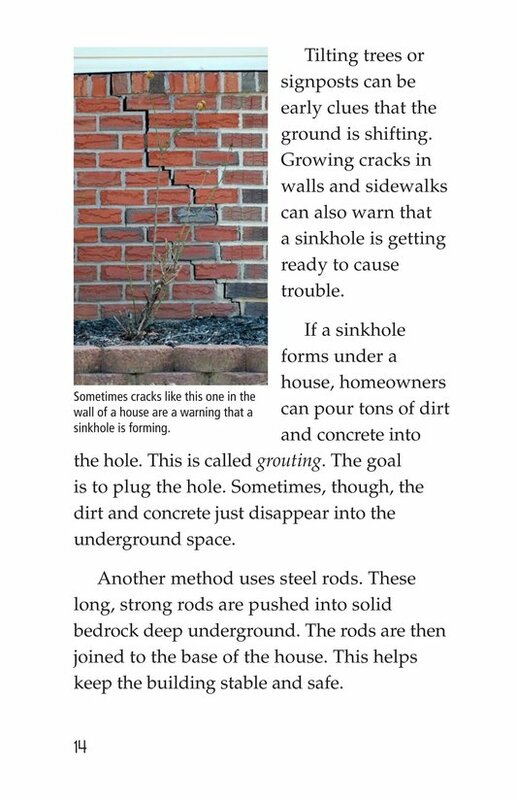 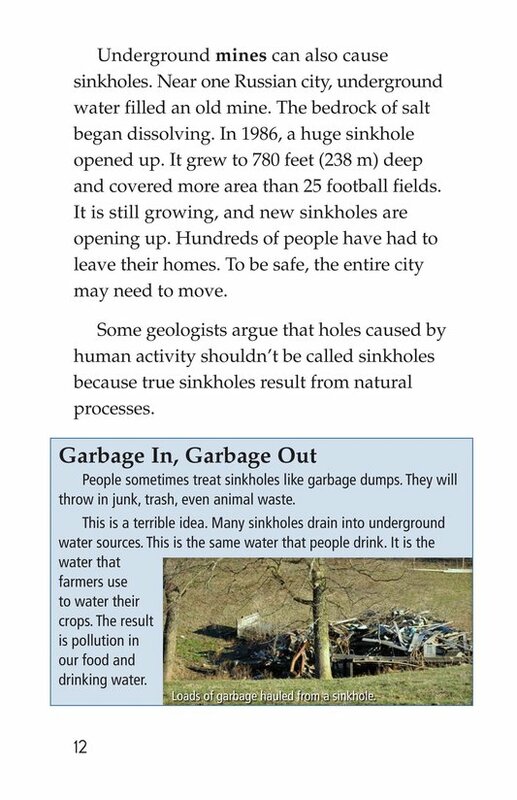 Readers will learn about the kinds of sinkholes, what causes them, and where they are most likely to occur. 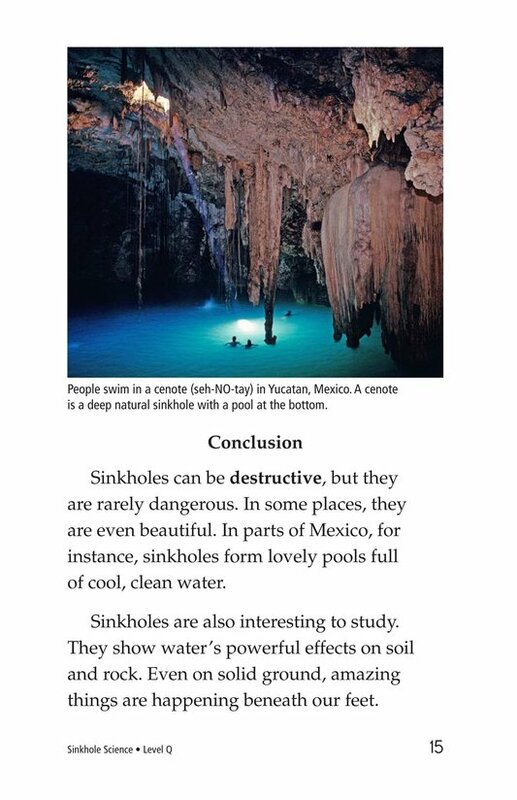 Diagrams, maps, and amazing photos support the text.